Inr. 4500.00 for both passports holders. Extra Charged. Arrival and departure transfer by tourist coach. three nights accommodation at Kathmandu with all meal. Kathmandu valley sight seeing including Pashupatinath Darshan. 1 night accommodation at Syabrubesi with on best trekkers lodge with all meals. Kathmandu - Border - Kathmandu transfer by Private Vehicle. Border - Kailash - Border transfer by Deluxe Coach. Supporting truck during Kailash trip. All accommodation at Tibetan Guest house. Equipments with down Jacket &duffel bag. Visa and visa approval fees of China. 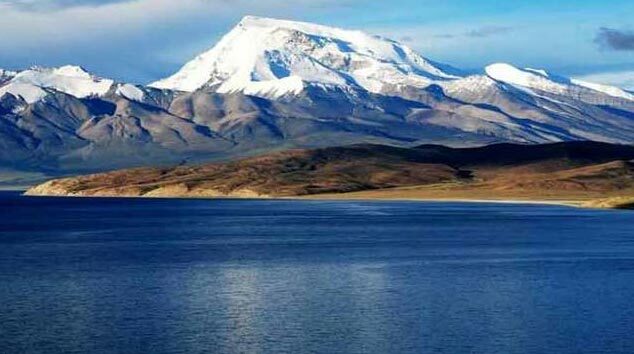 All entry, travel & road permit fees in Tibet part. Sherpas, cook and all necessary supporting staffs and Tibetan guide. Oxygen & medicine kit box.Beverage and personal nature cost. Nepal entry and re-entry visa fees for non-residence Indian. Any unavoidable circumamtances cost & Tips. Welcome - Receive from Kathmandu international airport. Meals : Welcome drink and Dinner. Shri Pashupatinath Temple, Budhanilkanth and Swayambhunath Stupa. Day 3: Kathmandu to Syabrubesi (2720m)- 6 hours drive. After breakfast, drive to Syabrubesi by private vehicle. After breakfast drive Rasuwagadi abouut an hours (Nepal - China Border). Nepal Embark and enter to Tibet. Further drive 1 hour (24km) to Kerung. Full day free at Kerung. Trek around hill for acclimatization. Meals : Bed tea & breakfast at Kerung, hotcase packed Lucnh on the way & Evening Dinner. 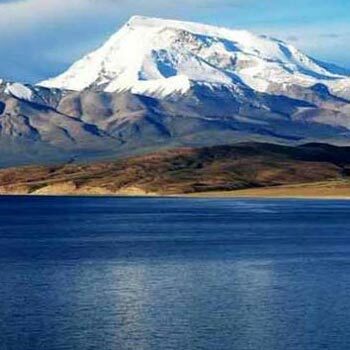 Drive about 6 hours to Mansarovar. On the way Perform holy Dip & Pooja. On the way visit / Darshana Ravan Lake. Meals : Bed tea & breakfast at Saga, hotcase packed Lucnh & Evening hot Dinner at Camp. Morning free for spiritual activities. Drive about one hour to Darchen. After breakfast, drive to Yamdwar (about 20 minutes). The first day of Kailash Parikrama. Walk approx. 13 km within 6 - 7 hours. One can ride Personal horse/Pony. Meals : Bed tea and breakfast at Darchen, packed Lucnh with fruits and chocolates, Dinner at Driaphuk with hot soup and energy drink. Journey starts as early in the morning as possible. Trek to Pass Dolma-La (5,670m) above sea level. Trek about 3 hours to end the Parikrama at Mani Wall. Drive to Dongba or Saga via Paryang. Overnight stay at Dongba or Saga. Meals : Breakfast at Zuthulphuk, hotcase packed Lucnh on the way & Evening Dinner. Drive about an hour to Rasuwagadi Border. Further drive to Kathmand by Privet Vechile. Beverage and personal nature cost. Passports with a minimum of 6 monthsvalidityand two copies of pp size photographs. However we advise the participter must be 12 years and more to joing this yatra according the date of birth on passport.